This tissue culture sport of H. 'Loyalist' was registered by Dutch hybridizer, Gert van Eijk-Bos and Walters Gardens, Inc. of Michigan. It grows into a medium size (15 inches high by 35 inches wide) plant with green speckled, somewhat twisted foliage. In July, lavender flowers bloom on creamy yellow scapes. According to The Hostapedia by Mark Zilis (2009), this cultivar "...may be the best grower of all the white-centered 'Patriot' type s. It has a fairly vigorous growth rate and will clump up nicely within two to three years after planting." 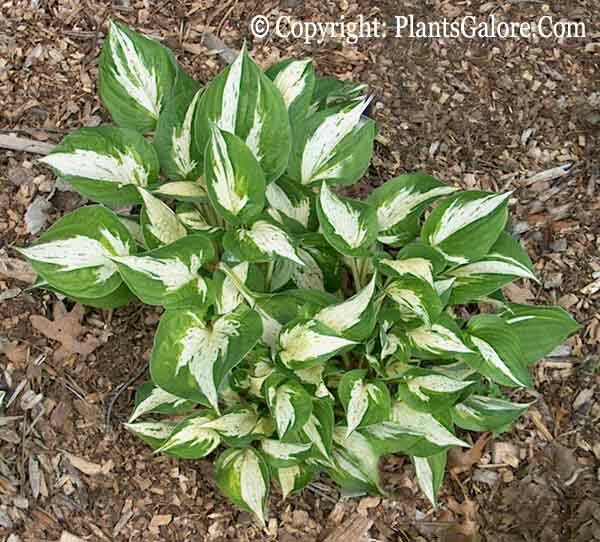 The New Encyclopedia of Hostas by Diana Grenfell (2009) states: "Careful placement is necessary to achieve the right balance of sun and shade. Can often stabilize to all-green leaves so frequent division is advised...Differs from its parent in having green flecks in the center of the leaf." An article by Warren I. Pollock in The Hosta Journal (2008 Vol. 39 No. 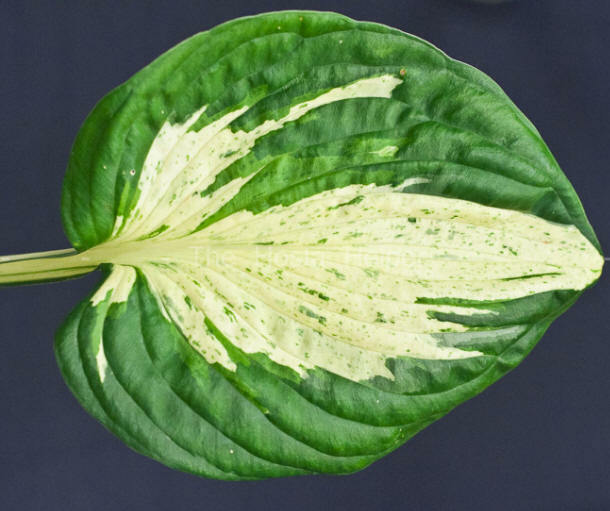 2) states that, "Paul Aden in The Hosta Book mentioned that medio-variegated hostas develop plain-leaved forms more readily than margin-variegated hostas. My observations are that 'Revolution' develops all-green leaves more readily than 'Independence' does. Apparently this is to be expected because 'Revolution' has more white tissue than 'Independence' -- and it's white tissue that wants to "re-green"."